To say that a dupatta is a popular piece of clothing in a girl’s wardrobe would be an understatement. 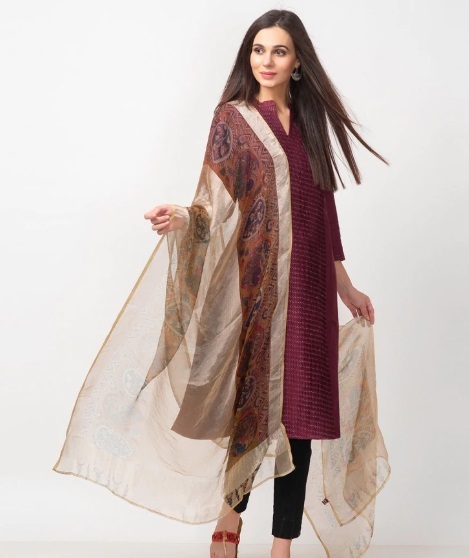 From being worn over traditional outfits and draped over contemporary ensembles to dupatta draping styles giving western clothing for a distinct look, the dupatta and the various types of dupatta have come a long way. So what is it that you need to know in order to master the art of how to drape a dupatta? Well to get you started and bring you up to speed, we have for you all the info on the types of dupattas there are, how to wear dupatta and various dupatta draping styles. Thank us later! Different regions in our country showcase unique craftsmanship and designs, leading to an array of traditional crafts and techniques being found in different types of dupattas. Before you go on to figure dupatta draping styles and how to drape a dupatta, here are the different types of dupattas which will help you decide on the one that suits you best. An embroidery technique from the state of Punjab, Phulkari literally translates to flower work. This traditional art form is vastly used in the region, with brides wearing a ceremonial odhni that their mothers and grandmothers sometimes work on for years. The phulkari dupatta or the odhni is also used as a gift for new mothers and worn during traditional ceremonies and festive occasions alike. 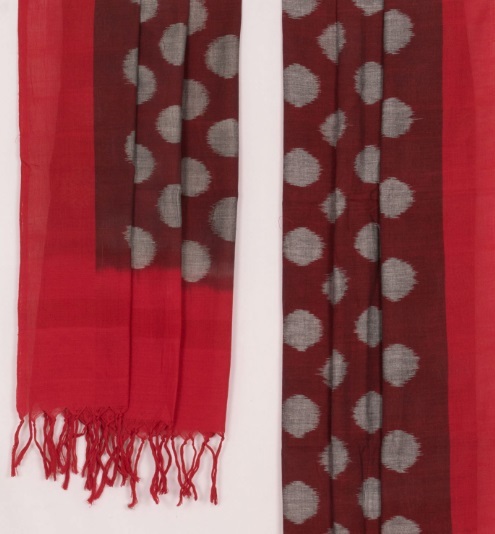 Motifs inspired by flora and fauna are popularly used in phulkari dupattas, as are colours that give it a vibrant feel. For the best effect, team an intricately embroidered phulkari dupatta with a solid coloured suit or separates. Dating back to the times of the Indus Valley civilisation, Bandhej or Bandhani is a tie and dye process. The fabric is pinched and tied using thread to secure it, before being dyed to produce the desired effect. Bandhej sarees and dupattas are a mainstay in Gujarat and Rajasthan, with numerous possibilities in the process giving way to unique designs. Interestingly, since its a manual process that involves dying, no two Bandhej dupattas can be the same. The patterns which are a result of this technique include Leheriya, Mothra, Shikari and more, depending on the style in which the cloth has been tied. The famous town of Chanderi in Madhya Pradesh is known by one and all, mainly for producing a type of fabric that is known by the same name. Small clusters all over the town weave this fabric, giving way to the popular Chanderi sarees and dupattas. The popularly used motifs of flowers, peacock, and geometric patterns are coated with gold, silver or copper. Drawing inspiration from nature and said to have found its origins in the Vedic times, the Chanderi fabric also showcases motifs of fruits and heavenly bodies. As the name suggests, Banarasi fabric is a woven intricate design popularly found in Varanasi. 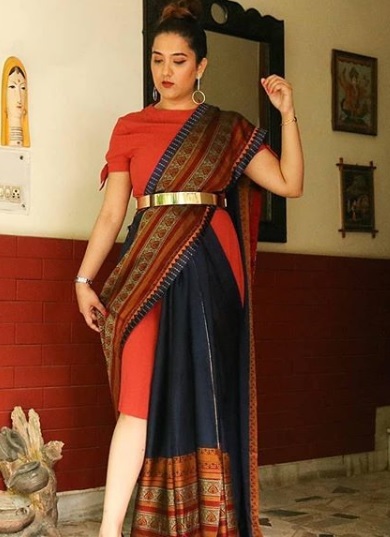 Whilst Banarasi sarees have always been a staple in a bride’s trousseau, dupattas of the fabric are now popular too, featuring motifs and booties similar to those found on the Banarasi sarees. Bright colours, gold accents and intricate craftsmanship make this fabric a winning option for a dupatta, one you can wear in traditional settings such as a puja, a wedding or a festive party. Deriving its name from a Persian word where ‘kalam’ means pen and ‘kari’ signifies craftsmanship, Kalamkari is a hand-painted textile that utilises only natural dyes and includes 23 steps needed to complete it. A traditional Kalamkari textile usually showcases scenes from the epics of Mahabharata and Ramayana, with recent designs also depicting Buddhist art. The interesting aspect of a Kalamkari dupatta can be flaunted should you choose to wear a suit or even a lehenga. 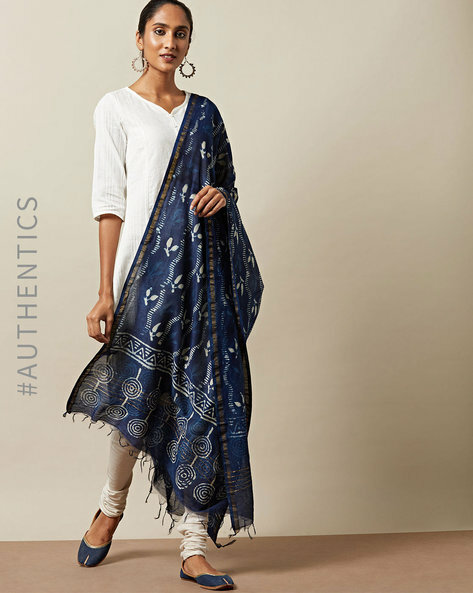 A process of resist dyeing that leaves a blurred looking pattern, a design synonymous with Ikat, this traditional textile is extensively used in kurtas, dupattas, bags and even dresses. The popularity of Ikat isn’t just limited to India, with the textile being used and made in Cambodia, Thailand, Iran and Latin America. Drape an Ikat dupatta over your western ensembles or wear it with your traditional outfits - the options are many. Just like the saree, the dupatta holds a special place in the hearts of Indian women. 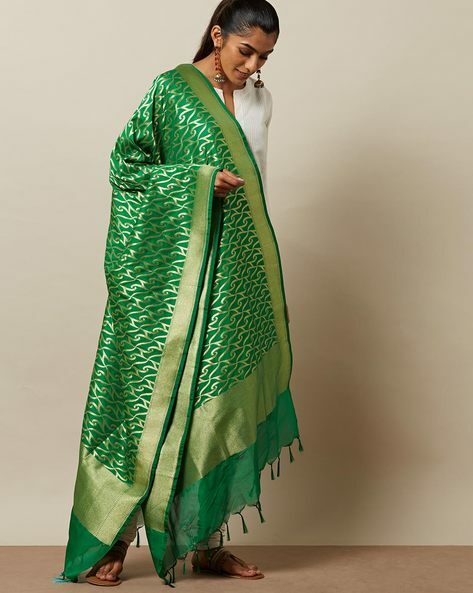 From holding on to our mothers’ chunnis to the iconic imagery of the flying dupatta in Bollywood films, the drape-freestyle is a cultural icon. Whether you like wearing the piece in a sanskari way or let it hang by your side as a formality, there is always room for improvement. Discover newer dupatta draping styles; from cape styles to heavy cover-ups, we have nine new ways in how to drape a dupatta. 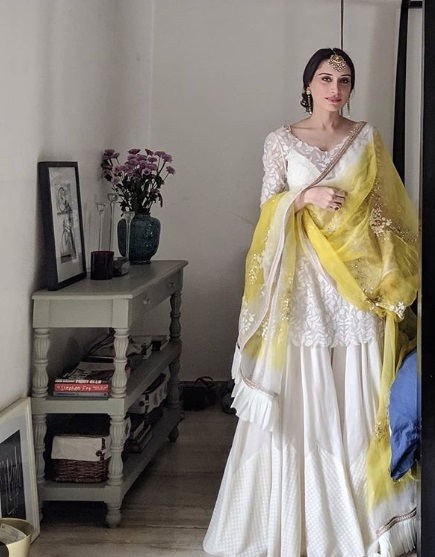 With the seal of approval from India’s top designers and fashion girls, these easy dupatta draping styles won’t have you calling your mother for help! Capes made a huge appearance in the ethnic scene this season, with billowing draped sleeves being a designer favourite. Use your dupatta to create a cape style cover-up; pair with A-line silhouettes to maintain balance in your outfit structure. We love the straight lines and sharp angles created by this dupatta style. Collect and pin your dupatta on one shoulder, press down to create the perfect creases and drape it loosely on the other side. If you have trouble styling and need to know a new way of how to drape a dupatta, this can be a fun and unique way to do it. It solves the annoying problem of your hands always being occupied, trying to keep the usual dupatta placement intact. Style tip: wear this style like a shrug with your easy ethnics like palazzos and shararas. Oh, how one little twist alters the look of an Indian ensemble! One that works brilliantly with silk, rayon and cotton blends, this neat little trick can get you a blissfully laid-back look. Dainty little mesh dupattas can pull off this look perfectly. A chic stole can also be used to create this style, most suited with your fitted kurtis and suits. Pin one end of the dupatta on your right shoulder. Twirl the other end around your left shoulder...and done! 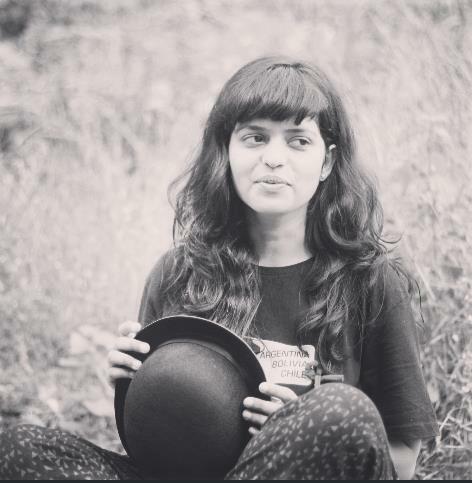 Plixxo influencer Meghna (who goes by @perkymegs) on Instagram proves, yet again, how effortlessly cool she can be with her dupattas! This one might need more than one try to get right. A smart lesson in how to drape a dupatta, start by draping the dupatta around your shoulders like a wrap. Then, pin the two ends of a dupatta at your waist, or belt it, to create a robe like silhouettes. Work your heavy dupattas with simple outfits to give them an upgrade! Truth be told, the traditional V-shaped dupatta has been out of sight for too long! We are totally digging this classy deep-V style by Gaurang Shah, pinned somewhat unevenly to give a deliciously deconstructed look! Need to be bhangra ready for an upcoming wedding reception and wondering how to drape a dupatta? Pleat your dupatta over one shoulder and belt it at the small of your waist to keep it in place. 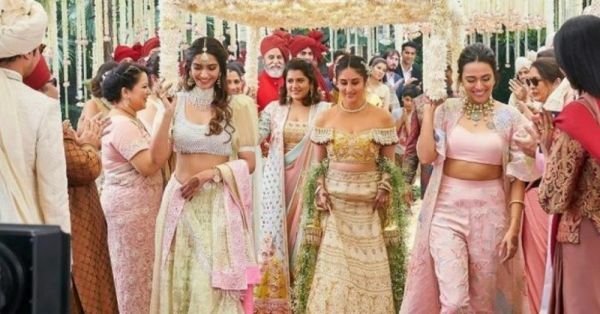 It goes without saying that weddings are a big deal in India, and not just if you are a bride but if you are a bridesmaid or a friend attending as a guest too. Whatever the case be, it calls for some major style inspiration in order to deck up to the nines and make a mark. Whether you are a bride looking to wear a gorgeous dupatta the right way on your D-day, or a guest in attendance for your best friend’s wedding, we got you sorted in the style department! 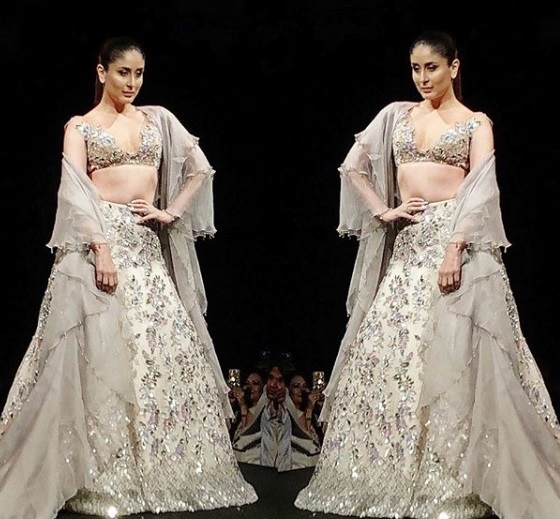 Is a lehenga even complete without a dupatta draped over it? At times, yes, but weddings call for going all out and a dupatta is a great help in that. 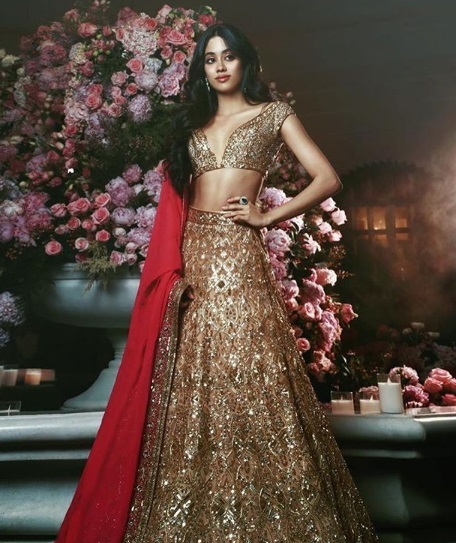 How to drape a dupatta artfully over your lehenga? Let us lead the way. 1. Of all the techniques mentioned earlier, you could pick your favourite for the perfect wedding look. Further, there is more when it comes to the question of how to wear a dupatta. 2. Drape it simply over your shoulders, pinning it so that it doesn’t fall and stays secure, giving your outfit a fashionable upgrade. 3. If your dupatta is one that features extensive embroidery or handiwork on the border, opt to highlight it by pleating it and pinning it in such a way that only the border is visible. 4. If you want to keep it classy and yet flaunt your dupatta in such a way that it is fully visible, here’s how to drape your dupatta. Without pleating it or creating folds, drape it over a single shoulder, keeping on your side and securing it by pinning it. Be it a colourful dupatta or a fully embroidered one, you can trust it to be the centre of attention! When it comes to draping a dupatta over a suit, the options are many. In the end, it is up to you to decide whether you want to take a traditional route or don a dupatta with contemporary flair. 1. Roughly gathered pleats make for a great option for a fuss-free dupatta draping style. 2. For a look that spells timeless elegance, wrap it casually around your shoulders for a dupatta draping style that is not only striking but also easy to master and wear! 3. Wearing a dupatta without gathering it and draping it across your shoulders is also a great way of styling it. The entire dupatta covers the front of your garment and shows fully, giving you more than enough opportunity to flaunt it. 4. Go contemporary! Add tassels, metallic elements, brooches and layers to your dupatta, draping it for a winning look. In India, brides are generally seen wearing a dupatta along with their bridal saree. So how to drape a dupatta whilst wearing the 6-yard saree? Here’s how! 1. Drape it straight over your head and let it fall back on your shoulders and down below. 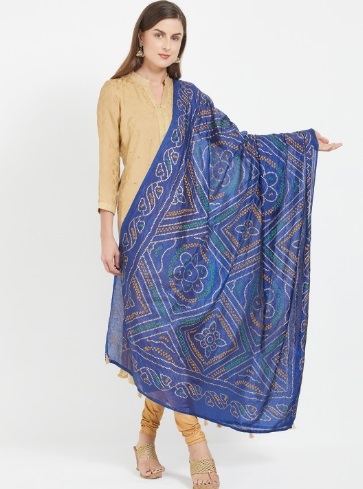 Sheer, lightweight dupattas work best when used in this manner, as they aren’t heavy and do not require much support, keeping you comfortable at all times. 2. Draping a dupatta across your saree, like a sashay, also works while looking for styles that are fit for bridal wear. 3. A front falling dupatta style also works wonders with a saree. Wear it gathered and draped around the back of your neck so that the dupatta falls in front and shows as a part of your attire. 4. Another popular style of wearing a dupatta is draping it in such a way that a cowl is formed on the side, creating a loop-like structure. Try it with a dupatta which has a fabric with a good drape. Think chiffon, velvet, wool or net.